My husband has been craving Kabsah all this month. I have made it at least 4 times this month! This rice dish is so easy to make and is so flavorful. 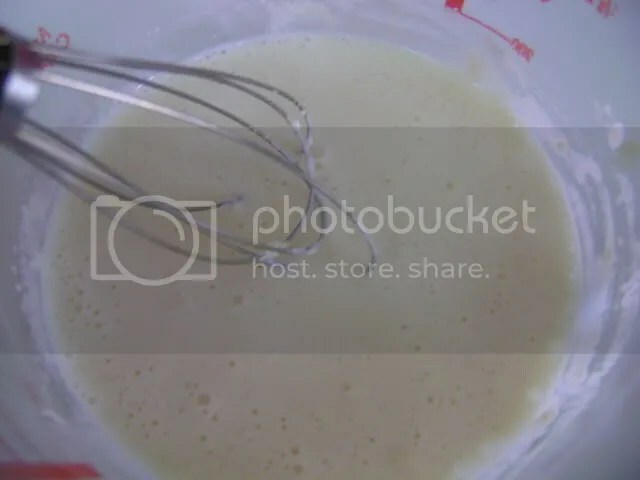 I am giving you a basic recipe (which can be easily doubled or tripled!) 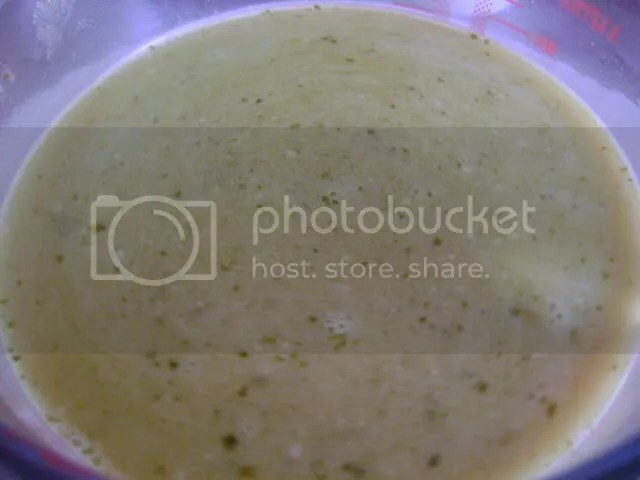 but it can easily be jazzed up with the addition of 1 cup of frozen green peas. 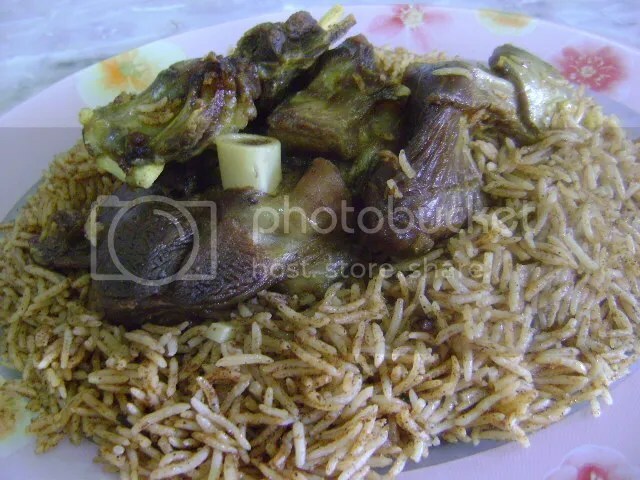 I like to serve this rice with lamb (recipe will follow…I promise). 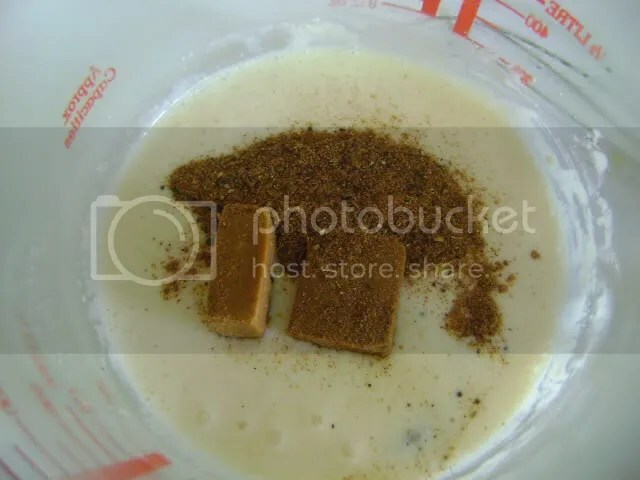 In a medium-sized pot, heat the corn oil and add the onion, cloves, and cinnamon bark. 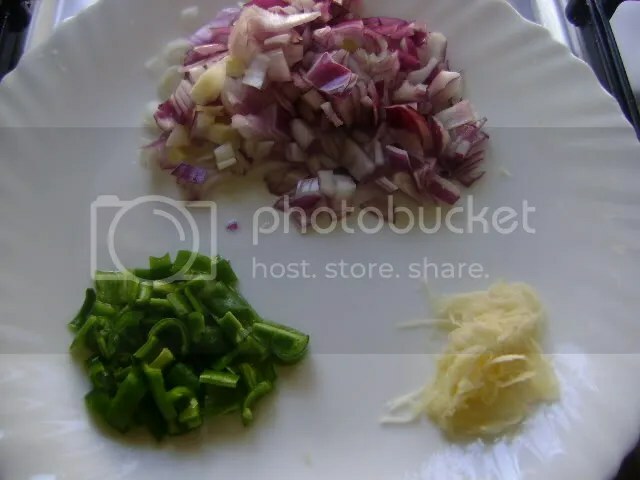 Saute until the onion becomes golden. Add the garlic, all the spices, and tomato paste. Mix well and then add the water/stock. Let boil a couple of minutes. 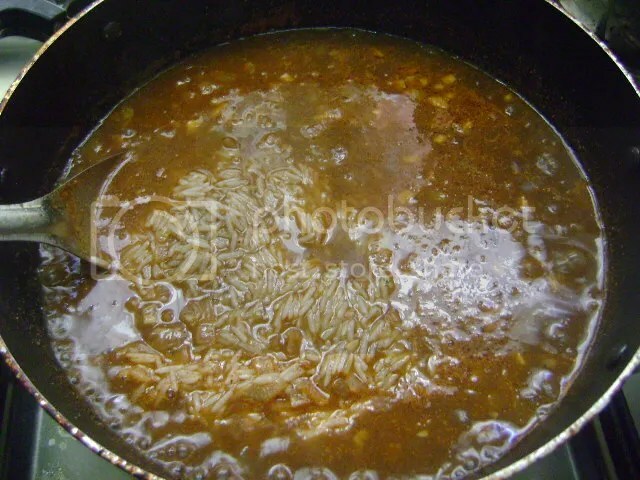 Drain the uncooked rice and add it to the stock. Gently stir. (Note: at this point you can add that 1 cup of frozen green peas if you wish to jazz up your rice a little bit). 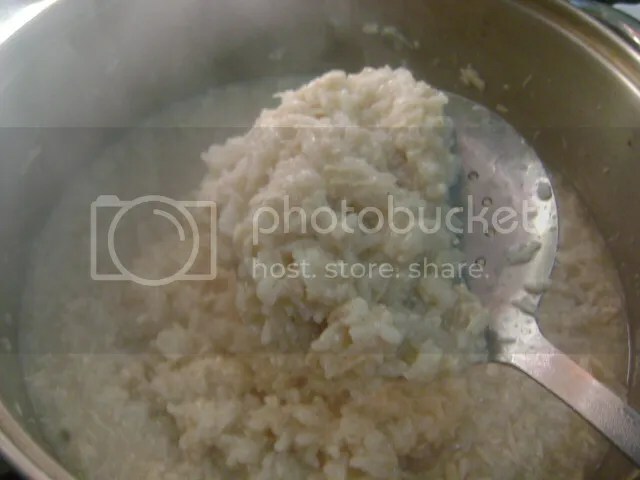 Let the rice boil until there is hardly any liquid left that you can see from the top of the pot. Cover and turn the fire/heat to very, very low. And cook for 15 minutes. Remove the cover and let the steam dissipate and then re-cover the pot. Rice is ready after 15 minutes. Turn pot upside down onto a platter. 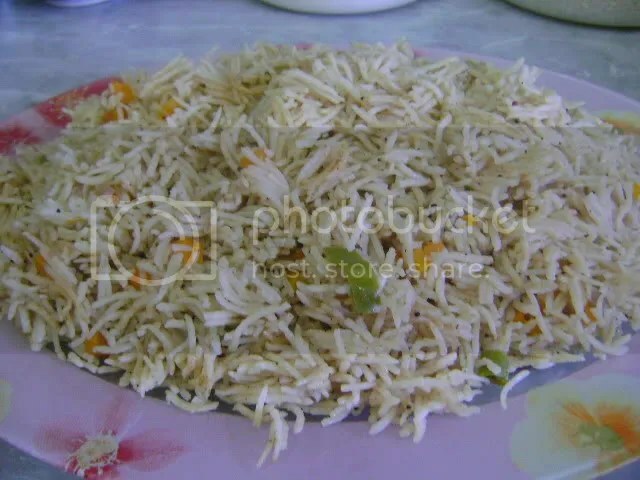 Turn pot of rice over onto a platter and separate it out with a fork or gently fluff it out with a serving spoon…Look! No mushy rice! Not a clear pictures…but you get the idea! 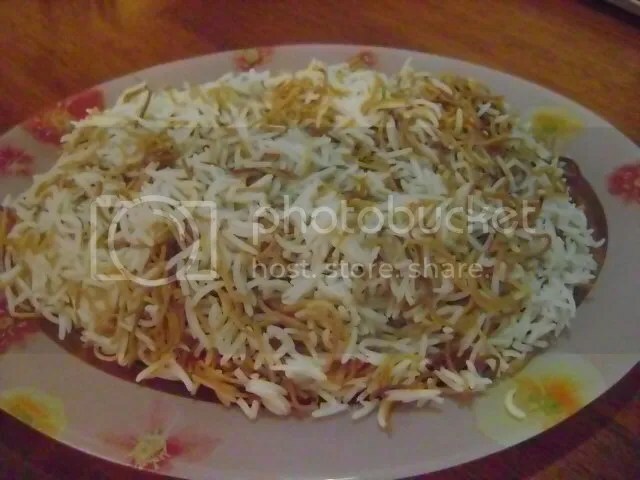 This is a delicious and fairly simple rice dish that is seasoned with a medley of Indian spices…mixed and cooked in a broth flavored with coconut milk. I have made this with the Chicken Makhtoum recipe from yesterday and the flavors from both dishes blend together beautifully. 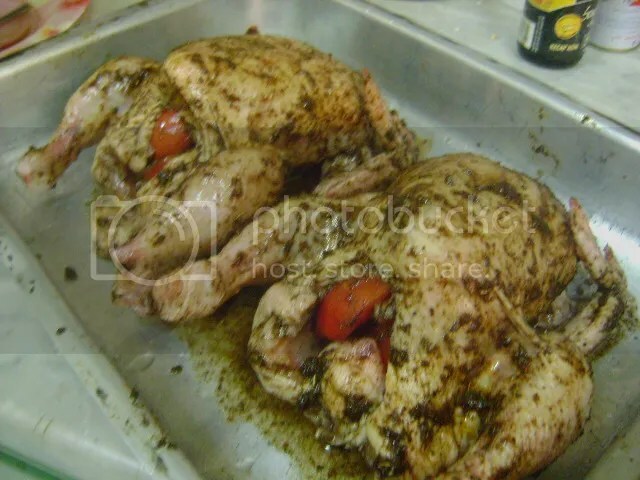 Of course, it will also go well with a nice, thick gravy-like lamb stew or with baked chicken. 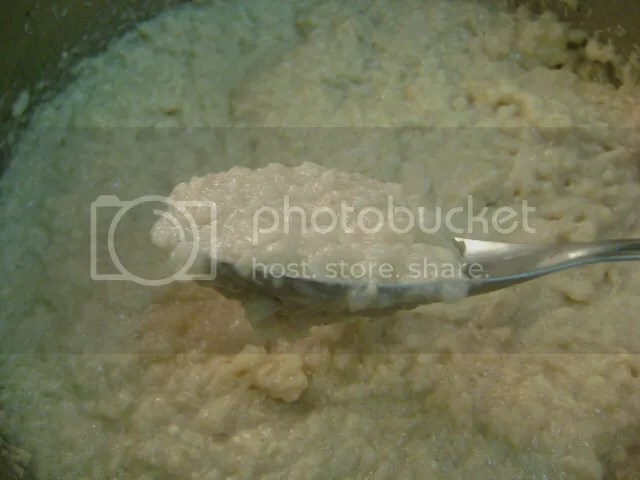 In a large bowl, add coconut powder and slowly add a bit of the hot water and mix into a smooth paste. Add the remaining hot water and mix well. 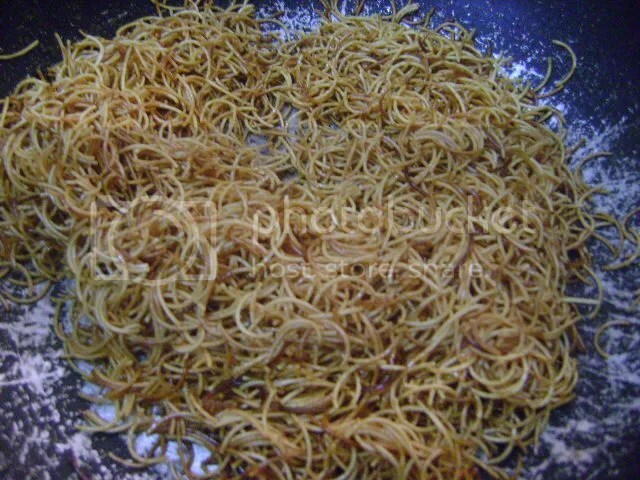 Add the Maggi stock cubes and the spices except for the cloves and mustard seeds. Stir together and let sit for about 2 minutes until the stock cubes melt. Stir again. In a medium pot, heat the 4 tablespoons of corn oil. 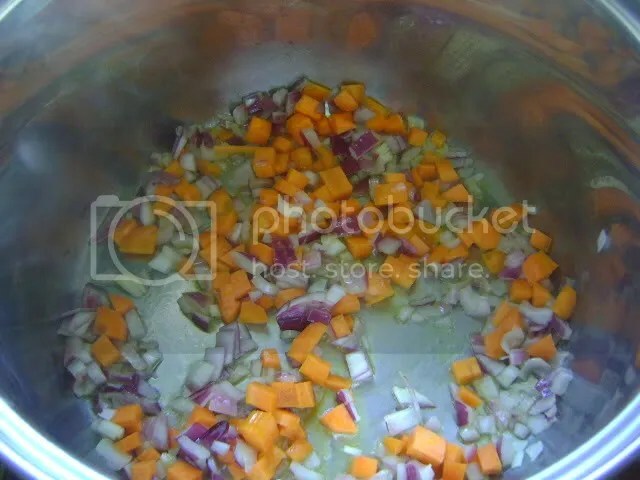 When hot add the onions and carrots and sautee until the onion has softened. Add the cloves, mustard seeds, green chilies, and garlic. Stir well and then add the coconut milk mixture. Bring to a boil. Once it starts boiling, add the basmati rice. Stir gently a couple of times. Bring back to a boil. Cover and reduce the flame to very low. Cook for 17 minutes. When done, gently fluff the rice with a fork and serve hot. Enjoy! I have a little secret to share with you on how to cook short grain rice without it being sticky. In the US, Calrose Rice is a brand that sells short grain rice. 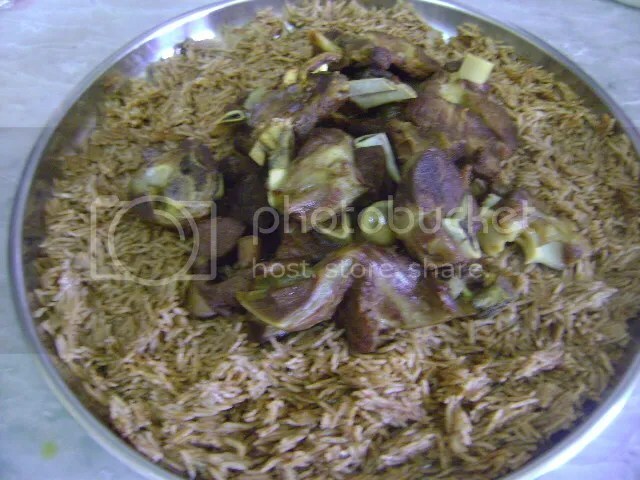 Here in the UAE short grain rice is also known as Egyptian Rice or Rice Misri. The most important thing about cooking the rice this way is that you have to be patient for just about 5 minutes. That is just part of my secret. The other part is that you will be lightly stir-frying the rice in a bit of oil to cook away that starchiness that makes the rice sticky. 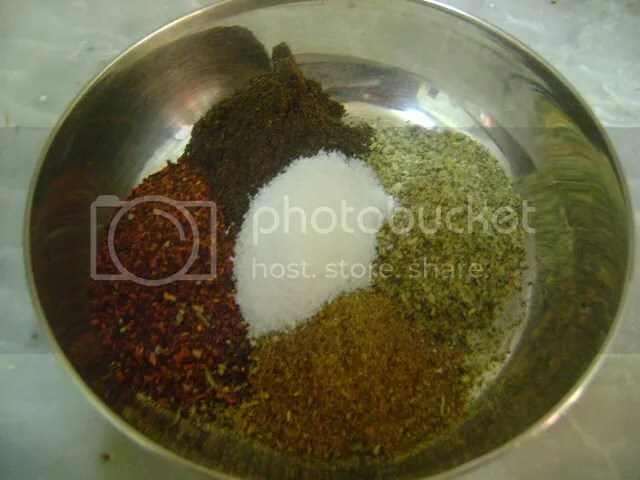 The following recipe can easily be doubled, tripled, quadrupled, etc. 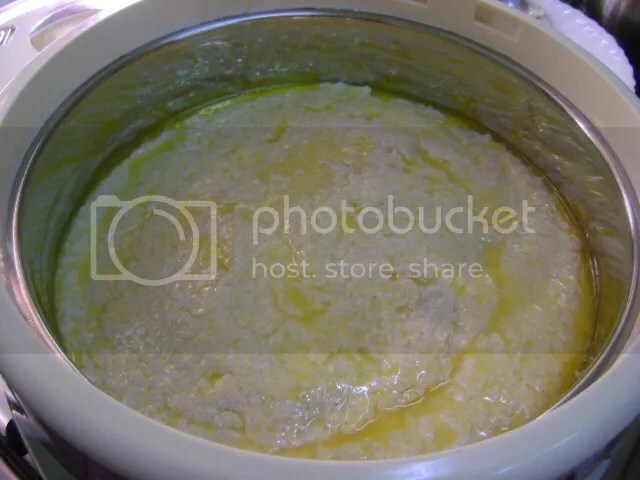 In a medium-sized saucepan heat the cooking oil and add the uncooked rice. I used a wok in this picture. 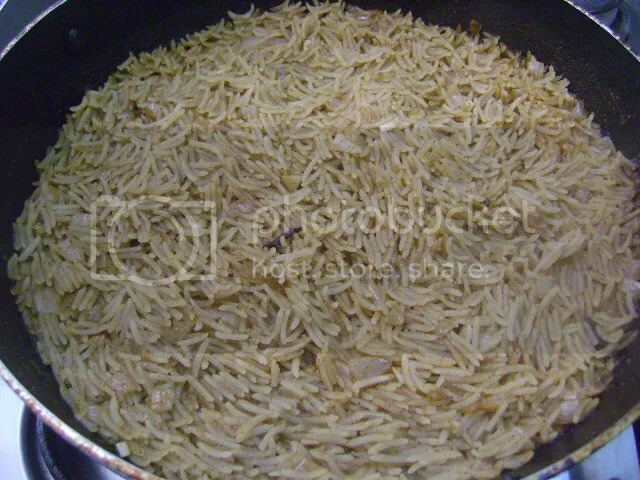 Gently stir the rice so that each grain will be coated with the oil. 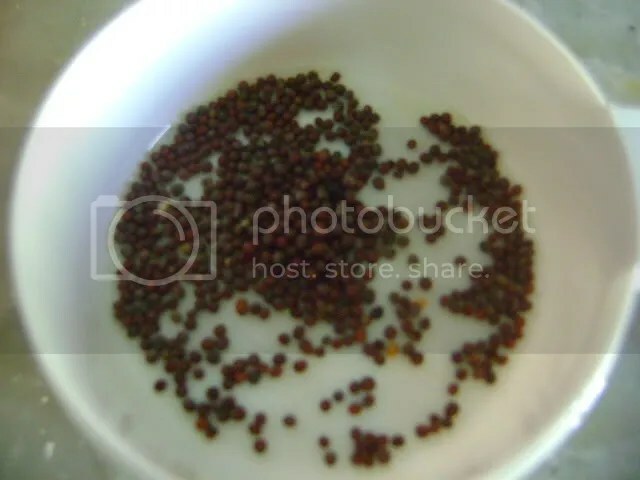 Now for the next 5 minutes (a little more or little less) you will have to stand at the stove and gently stir that rice (preferably with a wooden spoon) until it turns from its original opaque color to where the grains look like tiny pearls. If you want you can also stir-fry the rice until the grains are a golden color. You have to be very careful not to let the rice burn because it will, very quickly, if left unstirred or the flame/heat is too high! Be careful of stirring too vigorously because those rice grains will fly and they are hot if they land on your foot! Once the grains of rice have turned color (it is very noticeable) then you will add the boiling water. Be careful when adding the boiling water because it will splutter wildly. 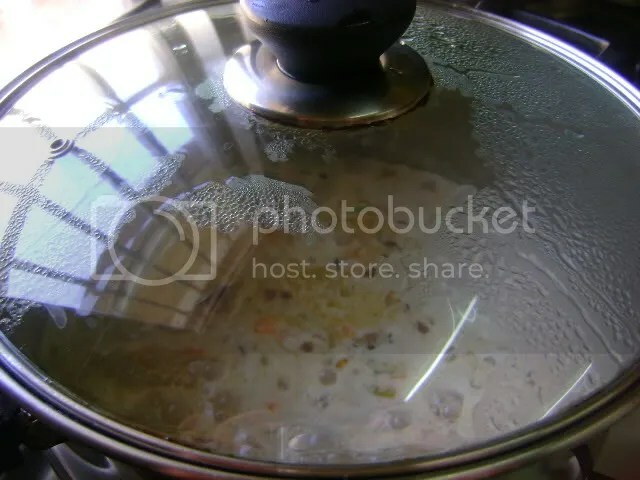 Put the top on the pot and reduce the heat to very low. Cook the rice for 17 minutes. Remove from heat and fluff with a fork. And there you have it…short-grain rice that is light and fluffy and not sticky! I have a finicky Emirati husband. Basmati rice has started many wars in my house. 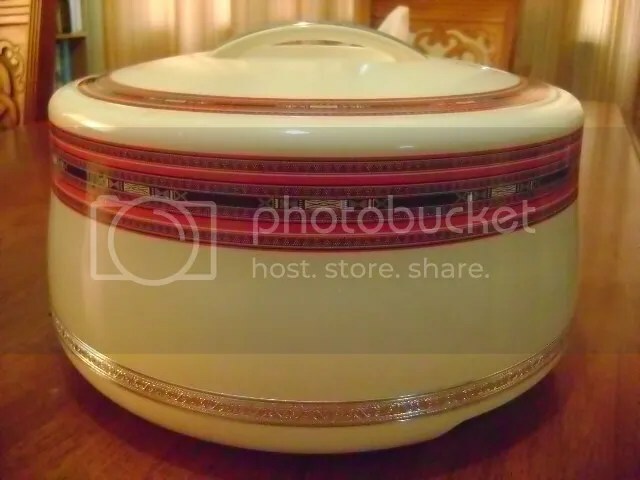 There were times my husband would refuse to eat the rice I cooked and would go to one of the public kitchens and buy a container of cooked rice to eat with the stews I cooked. The rice was either overcooked in that it was mushy or undercooked and still crunchy. I used to just add water and cook it with the quick-boil method but the rice would stick together. It has taken me years to learn how to properly cook basmati rice so that it turns out nice and fluffy. The secret is in the size of the pot you use and how long you let the rice soak. You need an extra-large pot to cook the rice in. 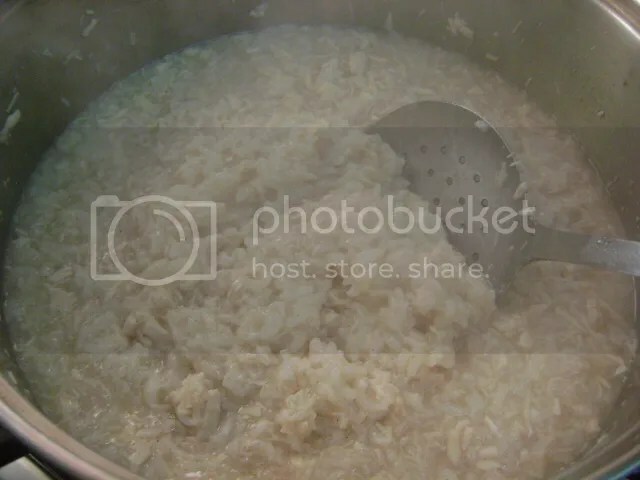 The rice needs lots of room to move around when it is boiling. Place the rice in a large bowl and fill it up with water. Carefully wash the rice so that you do not break the kernals. Cup your hand slightly and slowly wash the rice. I turn my hand in the bowl 20 times. Drain the water and repeat the above two more times. Drain the water and then pour water over the rice again with enough water to just cover the rice by about an inch. Now you let the rice soak for at least 30 minutes but better if you let it soak for an hour. Meanwhile, fill the extra-large pot half way with water. A good guide is to use 3 liters of waters for every 1 cup of rice. 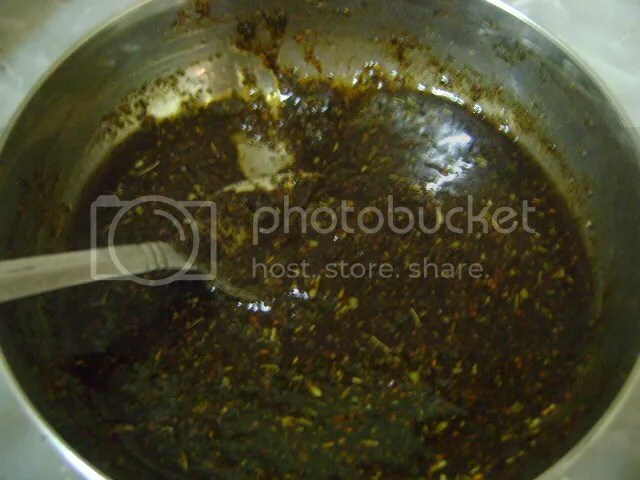 Add 1/4 cup of salt and 1 tablespoon of oil to the pot of water. Bring the water to a full rolling boil. Drain the rice in a strainer and add to the pot. Stir once. Cover the pot with a lid and when the water starts boiling again remove the lid. This takes about a minute. 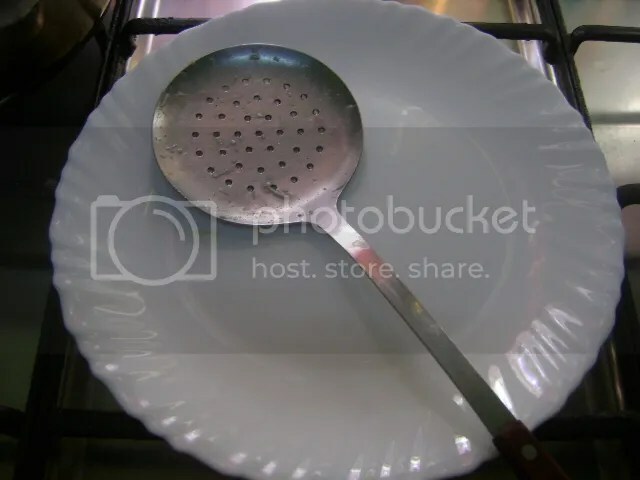 Have a large strainer waiting in the sink to drain the rice. Let the rice boil for exactly 5 minutes. Trust me when I say exactly 5 minutes because if it is less time or more time it will greatly affect the texture of the rice. Drain the rice in the strainer and gently, very gently, shake the strainer to get out all of the excess water. 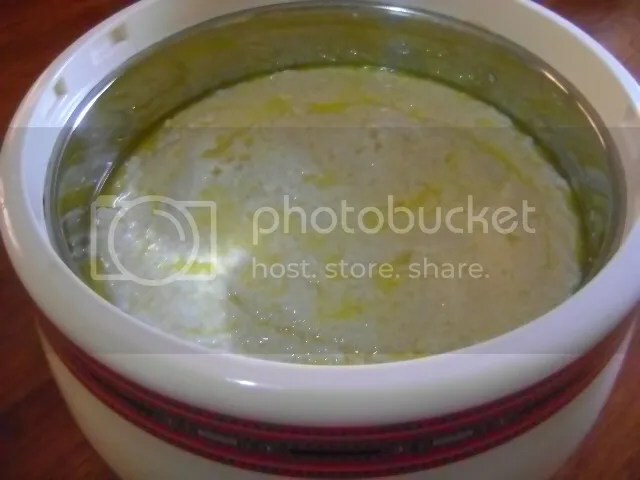 Return the rice to pot and keep warm until ready to serve. When you are ready to serve the rice. Gently fluff the rice with a large fork or large wide serving spoon. 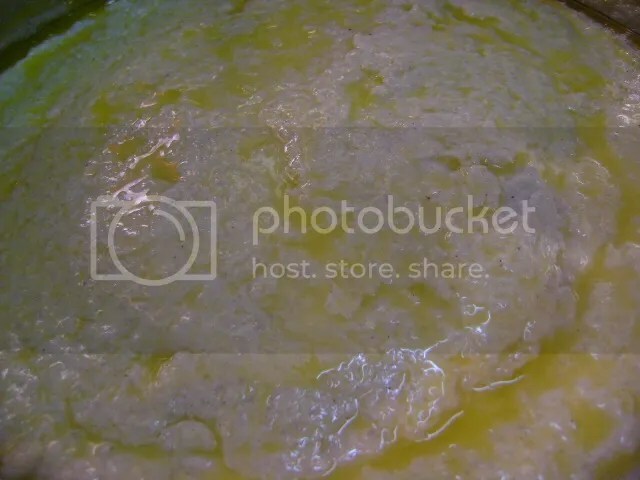 Heat the oil in a frying pan. 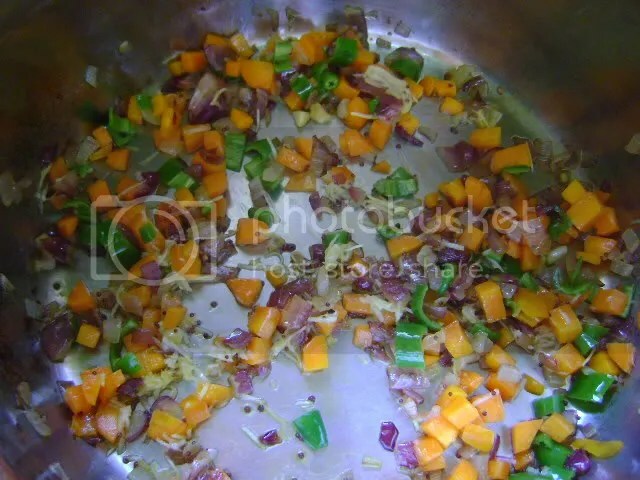 When hot add the chopped onion and stir. Stir the onion every now and then until it becomes a nice golder color. 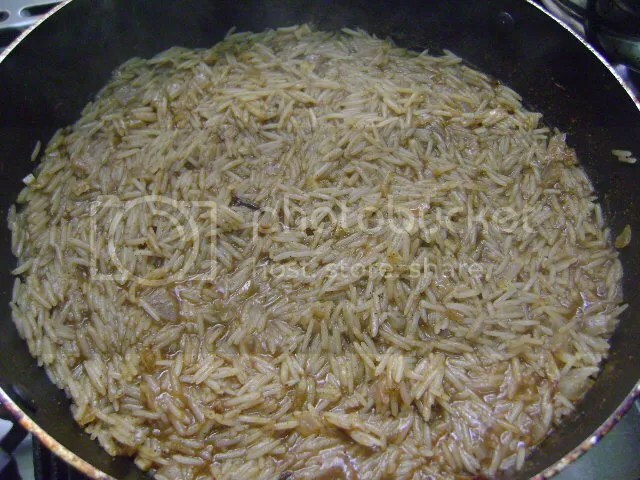 Now take a large spoon and scoop out the fried onion and scatter it over the cooked rice that is still in the pot. Drizzle the oil that you cooked the onion in over the rice. When it is time to serve the rice. You will fluff the rice and the onion and oil will be incorporated into the rice. Yummy! This is a wonderful and an extremely easy to make and rice dish that is delicious on its own served with a side dish of yogurt as a complete vegetarian meal or as a nice complement to my version of baked chicken. 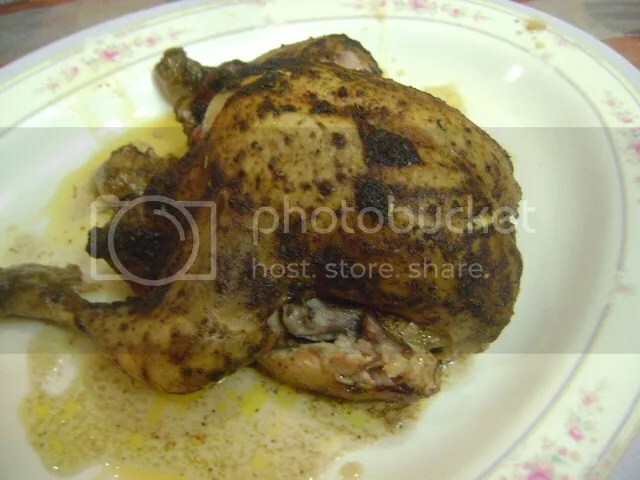 If you are married to a finicky Emirati husband who is reluctant to try dishes that he did not grow up with then this dish, in my opinion, with the spices I have used gives it a close enough Arab or Indian flavor that he will be used to. I am sure that this will become a family favorite. This recipe can easily be doubled and is terrific to take to a potluck or Ramadan get-together. 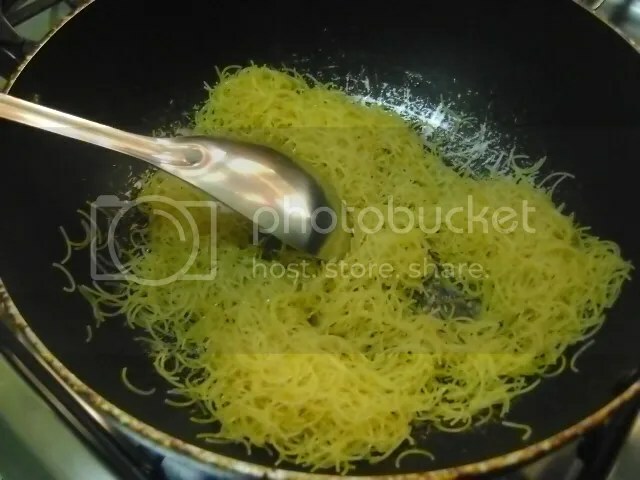 In a large pot, sauté the onion in the ghee until lightly browned. Add the tomatoes, bell pepper and cilantro. Stir well. Add all of the spices, Maggi stock cubes, and tomato paste. Mix well. Bring to a boil and then cover and simmer for 15 minutes. 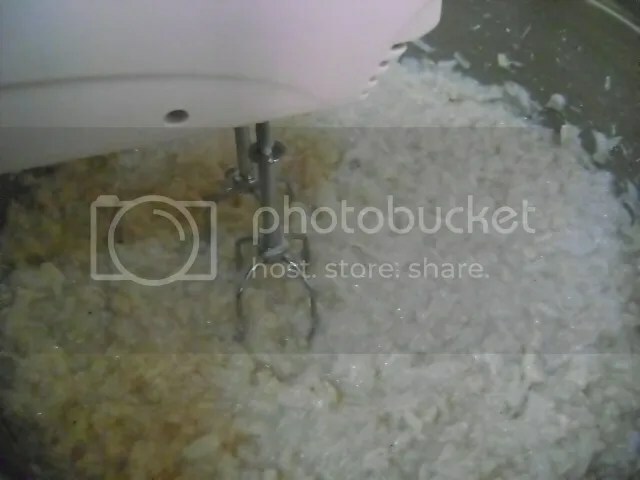 Drain the rice and then add to the pot. Add the 3 cups of hot water. Gently stir. Bring to a boil. Lower the fire to very low and cover. Cook for 17 minutes. Serve this with my recipes for yogurt and cucumber salad and tangy baked chicken. 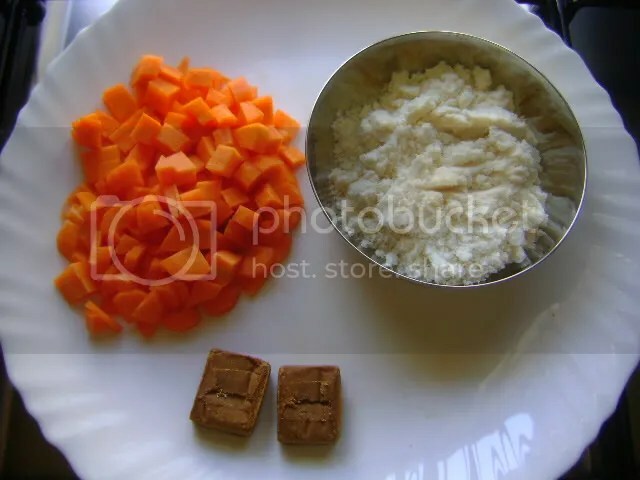 This rice recipe is very simple. 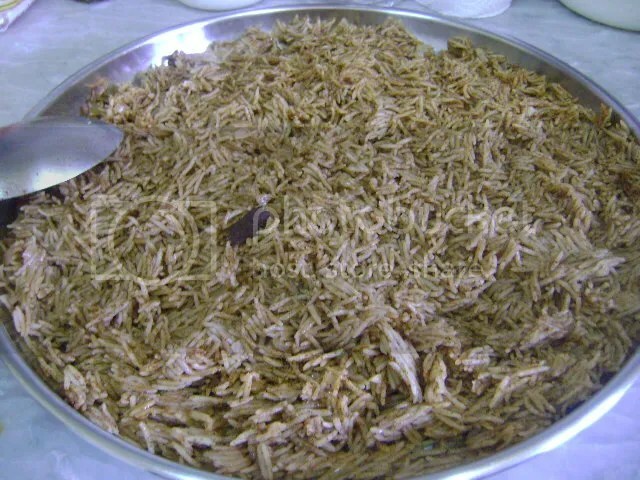 You will be using the stock from Fried Chicken Emirati Style to make this rice. 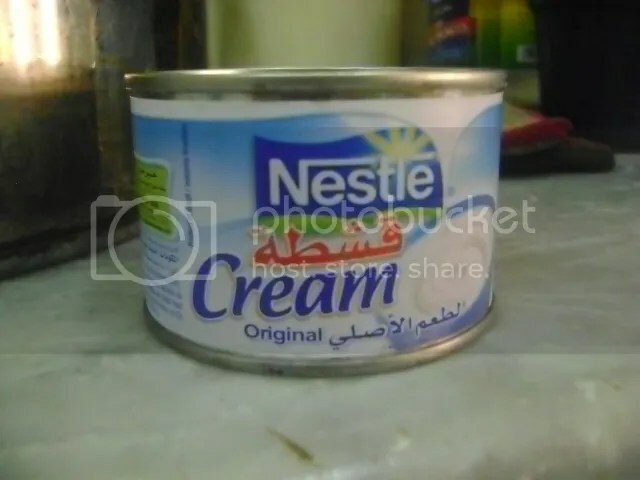 This is my daughter Fatima’s favorite rice. Actually it is the only time I can really get her to eat rice. 1 to 1 1/2 tablespoons tumeric (if you are not using the chicken stock from the recipe above) or use the food coloring option below. Gently wash the rice in three changes of water. Let the rice soak in water for at least 30 minutes. 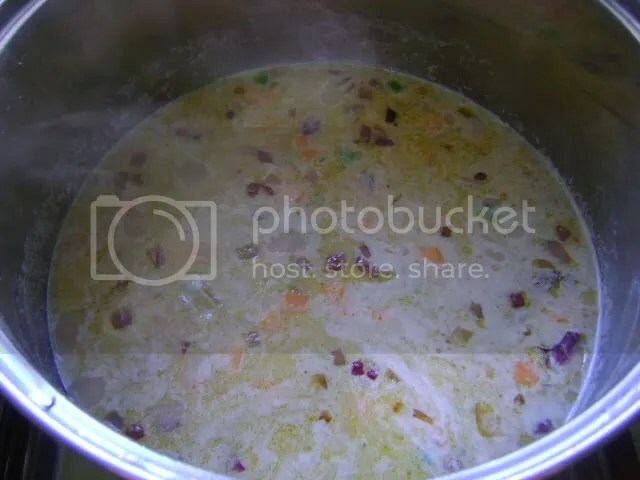 Strain the stock into a large pot. Add the saffron and food coloring and enough water to fill a very large pot 2/3 full. Drain the rice and add to the boiling stock. Stir once or twice very gently. Let boil for 6 minutes and strain the rice. Note: DO NOT throw away the stock! 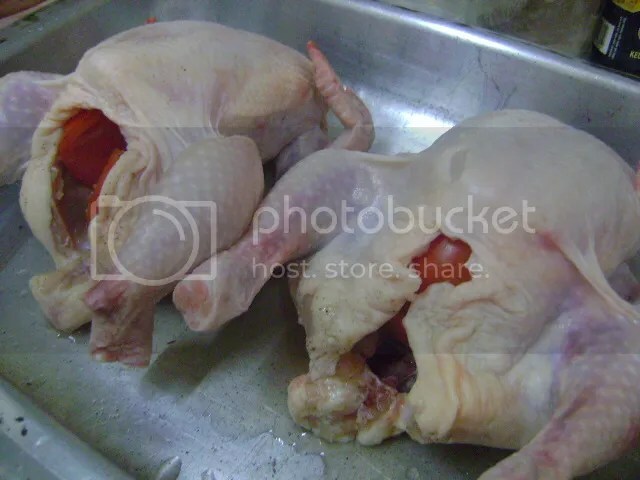 I will now give you a recipe for a very delicious chicken soup!